Marilynne Robinson has plumbed the human spirit in her renowned novels, including Lila and Gilead, winner of the Pulitzer Prize and the National Book Critics Circle Award. In this new essay collection she trains her incisive mind on our modern political climate and the mysteries of faith. 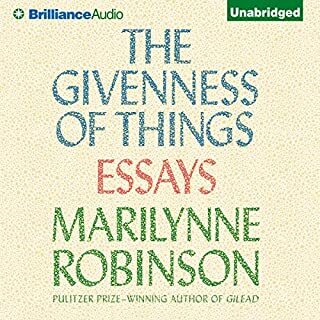 Whether she is investigating how the work of great thinkers about America, like Ralph Waldo Emerson and Alexis de Tocqueville, inform our political consciousness or discussing how beauty informs and disciplines daily life, Robinson's peerless prose and boundless humanity are on full display. The spirit of our times can appear to be one of joyless urgency. As a culture we have become less interested in the exploration of the glorious mind, and more interested in creating and mastering technologies that will yield material well-being. But while cultural pessimism is always fashionable, there is still much to give us hope. Seven years ago, Christian Wiman, a well-known poet and the editor of Poetry magazine, wrote a now-famous essay about having faith in the face of death. My Bright Abyss, composed in the difficult years since and completed in the wake of a bone marrow transplant, is a moving meditation on what a viable contemporary faith - responsive not only to modern thought and science but also to religious tradition - might look like. 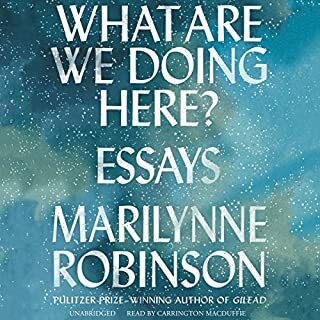 Ever since the 1981 publication of her stunning debut, Housekeeping, Marilynne Robinson has built a sterling reputation as a writer of sharp, subtly moving prose, not only as a major American novelist (her second novel, Gilead, was awarded the Pulitzer Prize) but also a rigorous thinker and incisive essayist. In When I Was a Child I Read Books, Robinson returns to and expands upon the themes that have preoccupied her work with renewed vigor. A modern classic, Housekeeping is the story of Ruth and her younger sister, Lucille, who grow up haphazardly, first under the care of their competent grandmother, then of two comically bumbling great-aunts, and finally of Sylvie, their eccentric and remote aunt. The family house is in the small Far West town of Fingerbone, set on a glacial lake, the same lake where their grandfather died in a spectacular train wreck and their mother drove off a cliff to her death. It is a town "chastened by an outsized landscape and extravagant weather, and chastened again by an awareness that the whole of human history had occurred elsewhere". Ruth and Lucille's struggle toward adulthood beautifully illuminates the price of loss and survival, and the dangerous and deep undertow of transience. This book is so rich in metaphor, permitting multiple interpretations. Many reviews that I have read of it focus on the author's masterful use of language, but I think it is equally important to consider the themes that she tackles: errancy, abandonment, and madness. Although the narrator never says so outright, this is a book not only about family losses, but about how people respond to such losses -- either by clinging rigidly to some sort of external structure (Lucille and the grandmother) or by fleeing the scene, whether through physical or psychic abandonment of home (Sylvie, Helen, Ruth). 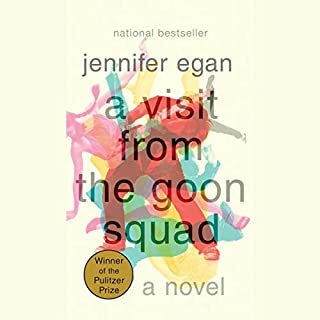 As a mental health professional, it was fascinating to me to read about characters whose contours would fit within the bounds of psychiatric diagnosis, and yet whose lives are richer, more forgivable, than such categories would suggest. In Ruthie's eccentric grandfather, a sort of outside painter, dreamer, and railroad man, we catch glimpses of manic-depressive illness. In Sylvie, we see a woman teetering on the edge of psychosis, caught up in the detritus of the past while denying the present. Ruthie, who follows Sylvie much like her Biblical namesake followed Naomi, gets caught up in a kind of folie-a-deux, a shared dream of lifting anchor and drifting through the world together. In this family, errancy is a pre-emptive strike against abandonment; before they are deserted, the characters choose to desert the world. Whether or not this is a heroic measure or a thoughtless, selfish choice is up to the reader/listener to decide. A note about the narrator: I think I would have been able to relish the book more deeply if the narrator had not spoken so quickly. The lines were delivered rapid-fire pace at times, which detracted from the author's careful construction of language and character. 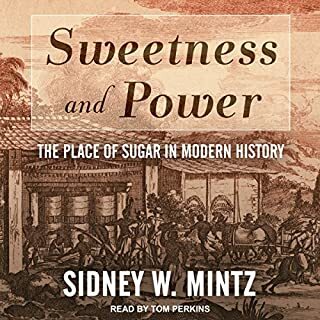 This was a brilliant book, well written, narrated superbly. It is not the type of book a casual reader would enjoy however. The vocabulary was excellent and the pace was fast. I think I would have preferred to read this, but I was not disappointed in the listen. Housekeeping is a rich story, even though I found it somewhat depressing. Biblical themes abound, but at times it is hard to believe that the sophisticated narrator is a high-school aged girl. The narration, while generally good, is occasionally rather flat and too obviously read. There is a mystical touch here, but all in all I much preferred Robinson’s more recent Gilead. Still, this is a wondrous story, and I will likely return to it again someday for a better understanding of its many themes. The overall theme, however, is that the world is not my home: I’m just passing through. This is truly one of the most beautifully written books and it is a shame that the reader is so poor. I will be buying this book to *read* again and again. "Housekeeping" stands as a quiet masterpiece of 20th-century fiction. It encompasses a world of childhood memory, social awkwardness, wanderlust, family love, and silence. This book deserves to be read, listened to, and the movie version (with Christine Lahti) seen. We’re told late in this short novel that, “For Sylvie, the essence of housekeeping was accumulation.” And yet Sylvie, the often befuddled aunt who has returned to try to keep her sister’s children together, can never really accumulate anything. That’s true in the small ways that she would always prefer to hop a train and go somewhere new and surprising, leaving her old things and retrieving new. It’s also true in the larger ways that she loses just about everyone in her life: father, mother, sisters, husband and, potentially, nieces. In contrast to an idea of housekeeping as accumulation, we have an idea of it as about order or “orderliness.” There are the other women in town – and the conventions of beauty and propriety that seduce the younger niece Lucille – who push against the haphazard and simple joys that Sylvie tries to share with Ruth. Sylvie gets looked at and talked about. If half her nature is to flee the demands of housekeeping altogether, and if so many insist that housekeeping is different from her understanding, it starts to feel like slow-burn heroism to keep the house and persist in caring for Ruth. We get the novel through Ruth’s eyes, yet I think our “protagonist” is really an impulse that runs through the generations. This is three generations of women, all gently mad, who push to keep together a house that was a kind of wild dream in the first place, handmade as it was by the semi-mythical grandfather. Very little “happens” in the heart of the novel (though it’s framed by dramatic events at the start and the finish), and I think that’s part of its deeper point. The smallness of the novel (in length) is just one more subtle shading of what’s at stake. This house is a fragile, probably impossible dream, handed down from one woman to another. It never has the chance to accumulate much – and much of what’s in the novel comes to us as memory, as something lost and then retrieved. I understand that many declare this a “modern classic,” and I certainly like and admire it. That said, it seems to me to fall short of the Gilead trilogy which explores similar themes of “Home” (the title of the middle novel) but then wraps them around an attempt at recovering the great Protestant theology that underlay so much of the settling of middle America. If this falls short to me, though, I can’t help wondering how much of that is due to my necessarily reading as a man. The effort, the impulse, and even the aesthetic that works here is quiet in what I think is a deeply feminine way. I offer that not as criticism of the novel, but of me. I get the impression this novel has a lot to teach me and, even as I enjoy it, I feel a kind of quiet appreciation for it as a result. And then, of course, there is Robinson’s flat-out mastery of prose. There are probably a hundred sentences I might single out for praise, but one early one just grabbed me: “The wind that billowed the sheets announced to her the resurrection of the ordinary.” If I’d written that one sentence, I think I’d feel pretty good about myself. Imagine what it’s like to write a full novel. So what if this is only Robinson’s fourth best novel; it’s still an extraordinary work by the woman who is very likely the greatest American novelist at work today. I agree with Emily's review below--this is a fascinating novel of abandonment, loss, mental illness, and mystically merging with nature. I was so moved by the descriptions of the area where the girls lived with their grandmother, the huge lake, the mountains, the woods, the cold and snow. It took me a while to figure out it was in Idaho somewhere. Sylvie and Ruthie spend so much time outside, in all kinds of weather, even spending the night on the lake's edge and then in a small boat in the middle of the lake in the middle of winter. They seemed to want to merge with nature, like the drowned grandfather and mother. There were comical scenes among the tragic, like when the ladies drop by to counsel Sylvie on how to keep house and raise Ruthie. That advice was not going to be taken, not by these two birds of a feather. Their outsiderness was sad, but at least they had each other. Unlike some others, I thought the narrator did a great job with this very literary novel. The language is beautiful, dense and flowing, full of mystery and allusion. I have also listened to Gilead by this author but did not like it anywhere near as much as Housekeeping, though Gilead won awards. Marilynne Robinson writes masterfully of troubled families through generations. She is one of my favorite authors. 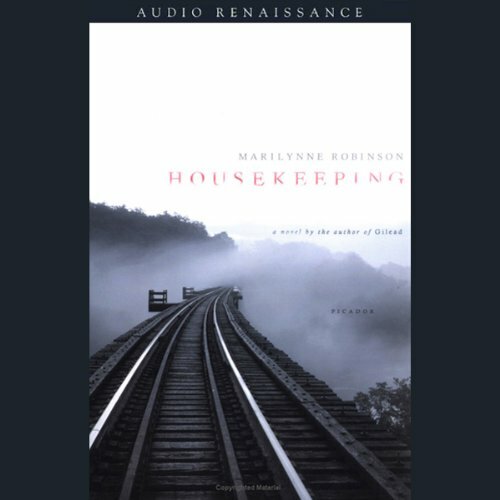 Though it was Marilynne Robisnon's subsequent novel that won the Pulitzer Prize, it wasn't available in audio - and Housekeeping appealed. It is set in the mid-west, and has a cast of female characters. The atmosphere is full of uncertainty and foreboding, but has a lightness of touch that keeps you going. Wonderful writing. 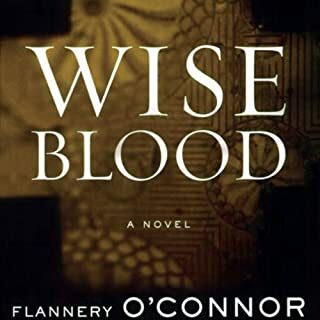 Unfortunately the book deserves a much more intelligent reading; the narrator was often losing track of the sentence structure which really snagged my enjoyment. I had to give up near the end and buy the paperback! I was put off this book by some the reviews who didn't like the narrator. For me the narration was perfect giving a clear view of this wonderful text. I managed about an hour of this book before I had to give up. It is read so fast and with no emotion, I found it impossible to digest any of the beautiful language. A real shame. Good story and read at your own pace very satisfying but the narrator goes way too fast and you can't quite take it in. Like a prism, the prose shimmers and splits open life and light. Ruthie's voice leads us through childhood and into a life of transience, ethereal, ephemeral, longing, lost, adrift... But all the while harbouring profound observation and experience. A richness familiar and comforting. This is in interior journey and a metaphor for our collective experience. Im tripping over myself with such high esteem for Marilynne Robinson. Kept me interested, a bit weird, quite verbose, but a good book. Not believable though.